Verve Restaurant Cafe and Bar. Directions to Verve Restaurant Cafe and Bar. Verve Restaurant Cafe & Bar is a fantastic restaurant located in Broadbeach. It has won the Best Informal Dining Award 2009. It offers an intimate & stylish decor, which creates a warm ambience. The head chef is outstanding with his approach innovative, creative, and full flavoured European and Asian dishes. 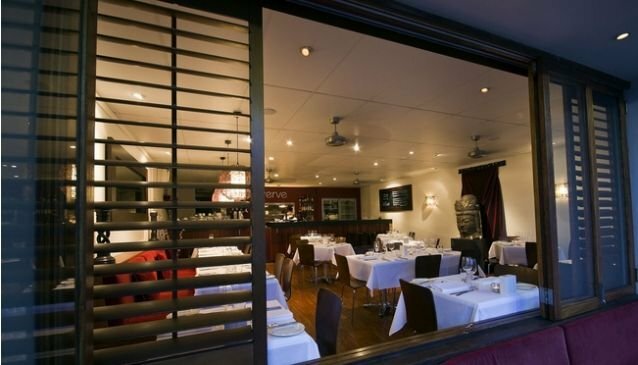 Verve Restaurant Cafe & Bar has great professional service and a great wine list. With the most excellent wine they also provide a blackboard cheese menu, which lists around 8-10 cheeses from all around the world. You choose the cheese you desire and they will put it on a platter to suit your taste.